The failure by struggling supermarket chain Nakumatt to pay its landlords $5.9 million in rent arrears could provide the opportunity international retail giants have been waiting for to enter the regional retail space or boost their presence here. This past week, in an interview with Bloomberg, Shoprite’s director Gerhard Fritz said the retailer is in talks with nine of Nakumatt’s landlords as it seeks to open its first store in Kenya. “Taking over vacated outlets would be the preferred way to enter East Africa’s largest economy as the retail market in Kenya is well established to build new stores,” said Mr Fritz, adding that the plans include taking over two sites in Uganda. However the retailer, valued at $8.5 billion, said it has no plans of re-entering the Tanzanian market that it exited in 2004, nor entering the Rwandan retail space. Botswana-based Choppies has also announced plans to increase its stores in Kenya from the current 11 over the next three years, but does not plan to take over leases from Nakumatt. “We are looking at 20 to 25 new stores in the next three years,” said Choppies chief executive. Ramachandran Ottapathu. If successful, Shoprite’s move would be a major step in its expansion outside South Africa. The retail chain boasts more than 2,600 stores spread across 15 countries on the continent. Shoprite is also banking on its acquisition, through a controlling stake in Steinhoff Africa Retail (STAR) in September, which already has operations in Kenya and Uganda, to make its expansion into this market a smooth venture. According to its website, STAR deals in a wide range of products including clothing, footwear and home ware, furniture, electronics and appliances, consumer goods, mobile phone handsets and data. Nakumatt has in recent times lost strategic space in rent arrears disputes with landlords including Thika Road Mall ($518,000) and Junction Mall in Nairobi; Prestige Plaza ($1.15 million), Galleria Mall ($984,000) and Ukay Centre ($609,000) — all of which are considered prime retail space properties. On Monday, Nakumatt filed for administration in a bid to ward off liquidation attempts by its creditors who are seeking close to $400 million. Nakumatt is hoping the administration order will enable it to achieve a better outcome for its creditors. 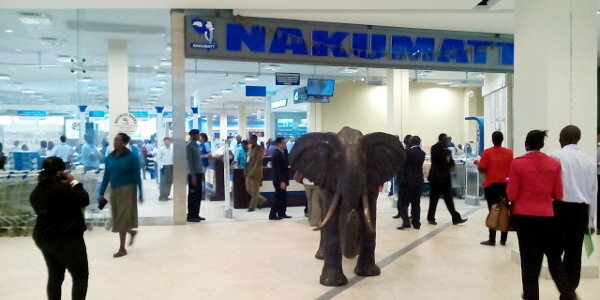 “Tusker Mattresses Ltd [Tuskys] has, subject to the Competition Authority of Kenya’s approval, undertaken to go ahead with its investment in Nakumatt. The decision to apply for an administration order was a difficult and complex one that was carefully considered,” Nakumatt said, adding that it was apprehensive that in the absence of an administration order, there was a significant danger of its being wound up. Tuskys, has already offered to inject $6.5 million into the troubled retail chain to cater for employees’ salaries, rent and debt payment guarantees of up to $30 million for the close to $400 million outstanding debt. Outside of Kenya, the retailer owes more than $0.7 million to Tanzanian landlords and suppliers and is also facing similar demands in Uganda, with the matter already in the courts in Kampala.